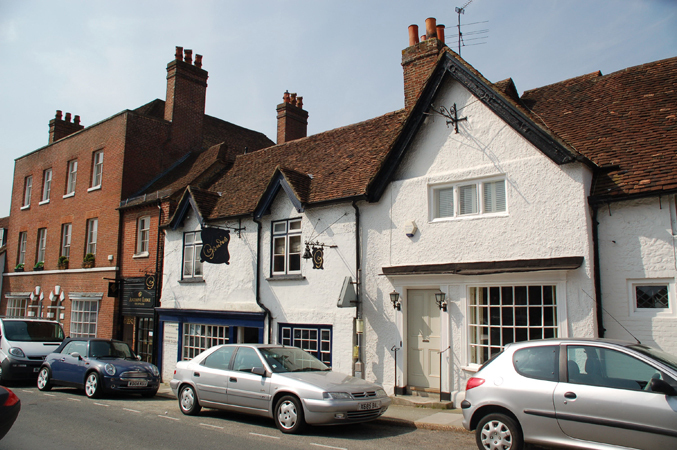 Set in the historic centre of the old town of Midhurst in West Sussex, Grade II Gaudis was for many years the areas most successful restaurant, a focal point for local society dining out. 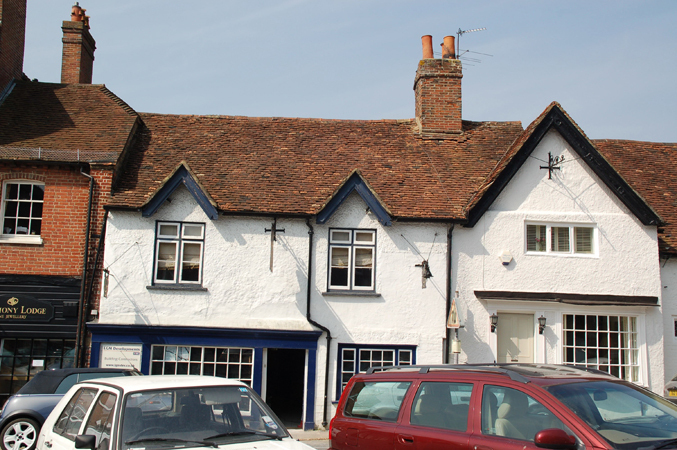 The building is in fact a group of buildings constructed over a long period starting with the earliest timber framed section on the roadside in 1634. The modest and fairly narrow frontage belies the overall area of buildings and site. Formally the various two storey buildings were connected by an ugly and inappropriate 20th century flat roof extension. The practice gained planning and listed building consent to change the use of the property to residential, with a brief to create a unique town house. 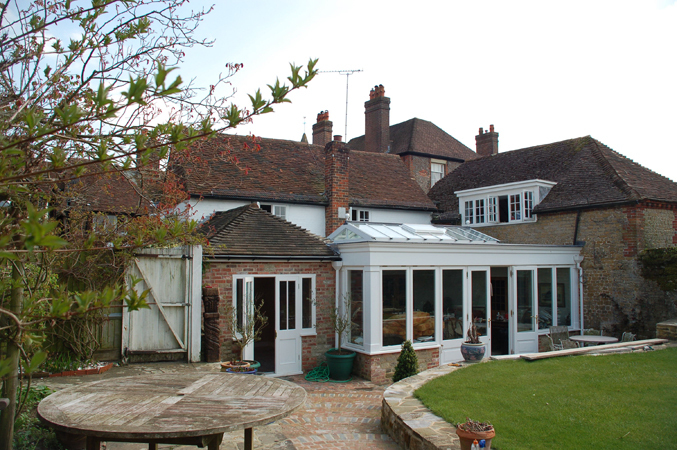 The modern flat roofed link to the existing listed buildings, of which there are three, has been replaced by a small green oak framed two storey building, maintaining the link but also adding accommodation on both floors. One end of this new building is galleried in which the new staircase is set. The gallery section has a partially glazed roof allowing light into the very deep floor plan, which extends from front to back by almost 23 metres. 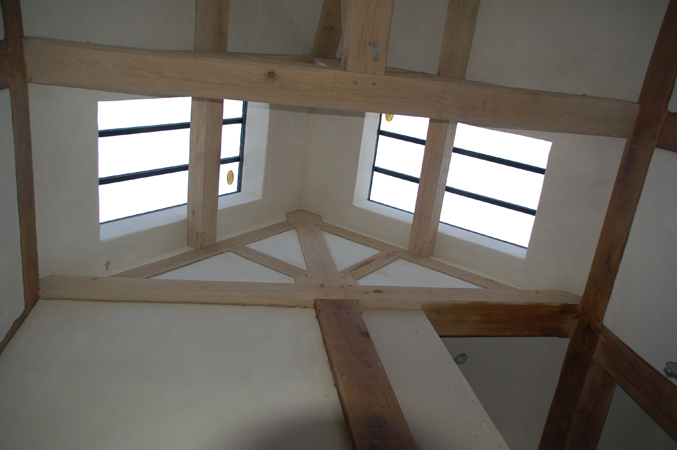 A small atrium is created by the partially glazed framed building, providing a vaulted space with a light and airy feel, a complete contrast to the very low ceilinged 17th century elements it adjoins. 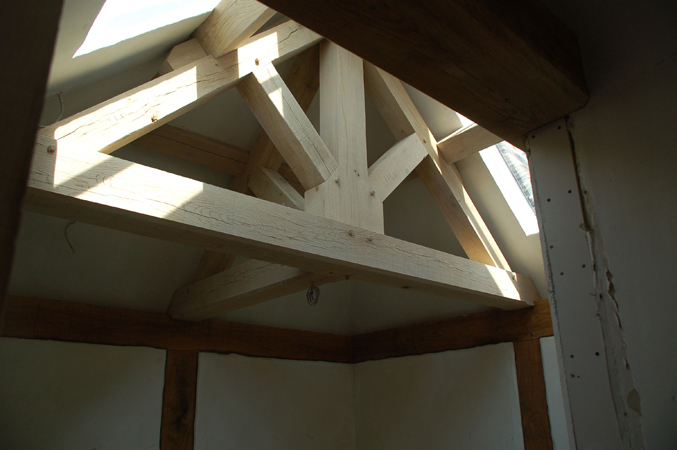 This imaginative approach was commended by the historic buildings officer representing the district and county councils. The completed house provides almost 500m2 of quite unique living accommodation, enhanced by a small but highly attractive walled garden at the rear, which serves immediately into the family day space. All this will remain a perfect secret from the street front and a wonderful surprise to those entering.